More pics from the Pontiac Junkyard! Photo Picture Classic Cars for sale & Classifieds - Buy Sell Classic Car & Classic Truck Classifieds. 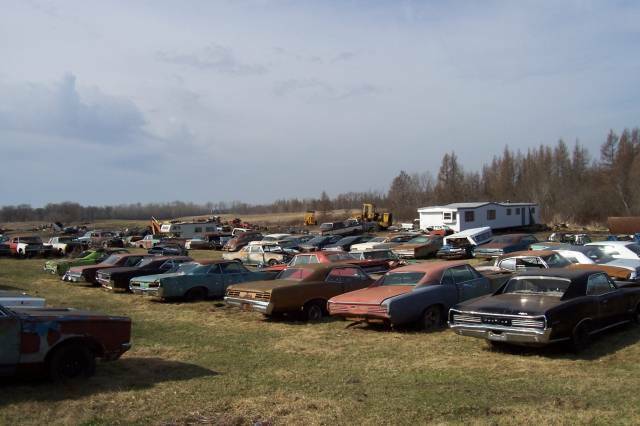 Car Photos > Rusty Abandoned Classic Cars from the 60's > More pics from the Pontiac Junkyard! More pics from the Pontiac Junkyard! I WANT A GTO SOOOOOOOOOOOOOOO BAAADDDDD!!!! I NEED TO KNOW WHERE THIS IS!!! Who leaves cars like this outdoors to rust away. It should be a criminal act to do this.